Now the weather is improving, and all predictions for a hot summer are heralded, I am out again enjoying the Welsh countryside and the beautiful properties that are hidden away. 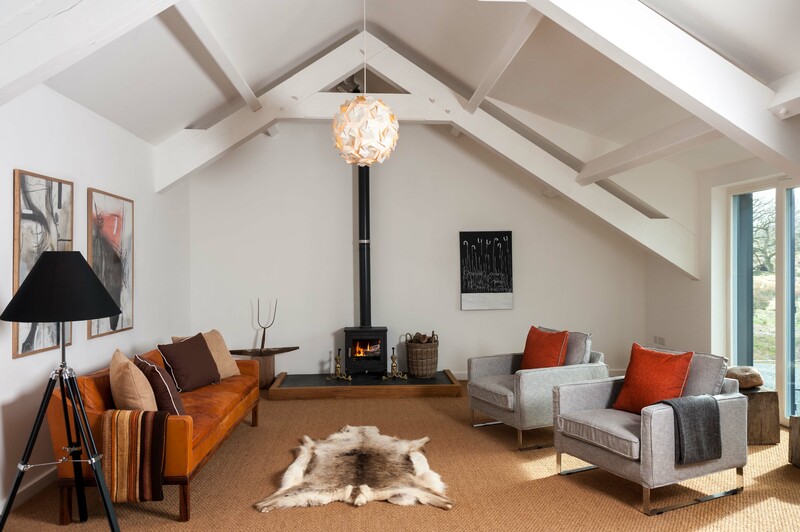 Recently I shot Pontfaen Barn, a stunning modern barn converted sympathetically in the vernacular by designers Mark Harrell and Anthony Marshall. I was quite excited to shoot Mark & Anthony’s beautiful secluded barn located on a hillside above Brecon. For the shoot I had not one but 2 assistants (Paul and Andria) AND Anthony on hand for any last minute adjustments, polishing moving furniture setting up lights and creating “stories” for me. It was the first time out with Andria who is usually one of the girls in the office and it was great to have her “on set”, she has a really creative eye and is just a really, really, really, nice person. Anyway, after her and Paul left one evening, I stayed on with Anthony trying to capture the perfect night scape and evening shots of the barn. 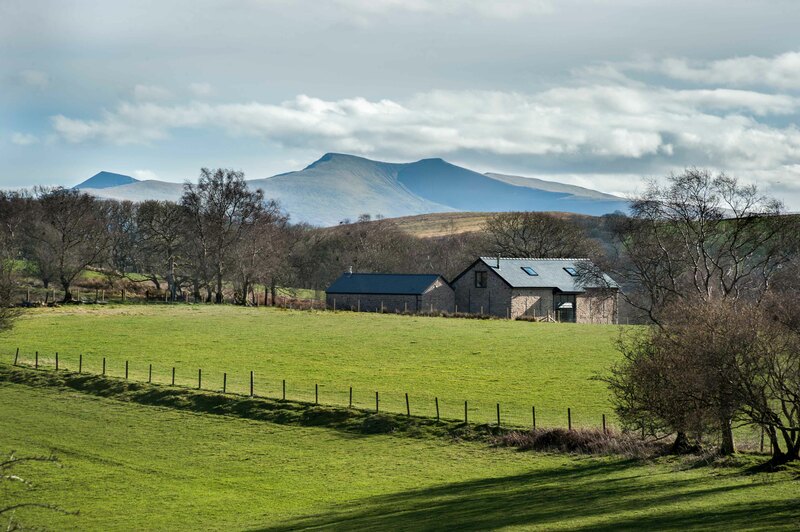 Standing behind the house there is one of the most breath taking views of Pen Y Fan and it’s sister peaks, a great one to catch in the evening as the sun goes down. 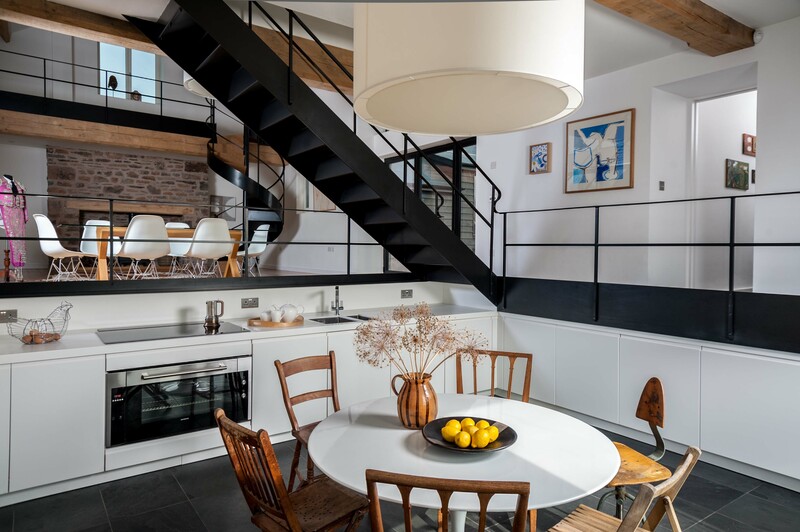 Pontfaen Barn, as you have guessed from my previous posts is an ultra modern conversion, which fuses vintage furniture pieces from around the world within a contemporary, industrial-like glove. 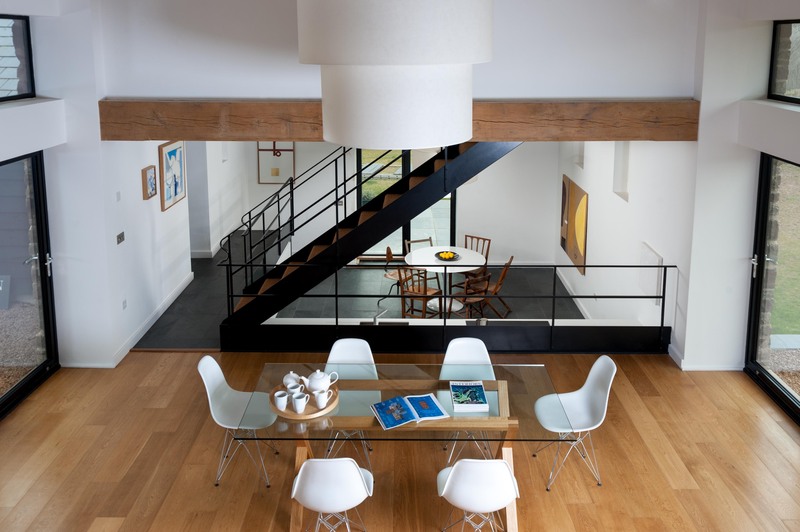 Modernist lines and visual spacing has been key to Mark and Anthony’s design process as well as reflecting the styles and materials of the area. For a large barn, the temperature was always surprisingly pleasant, aided by the air source heat pump that has been installed (why hasn’t everyone thought of this?) 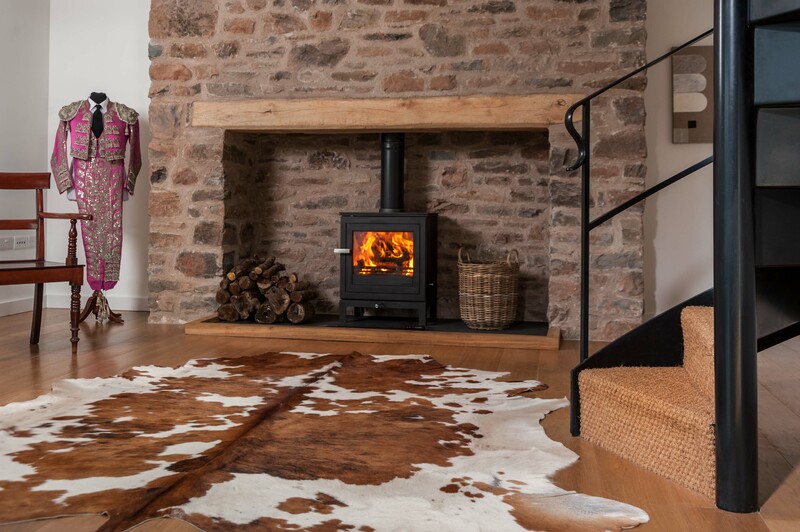 If you did want to enjoy the comfort of a roaring fire, there are TWO wood burning stoves that pump out heat as well. 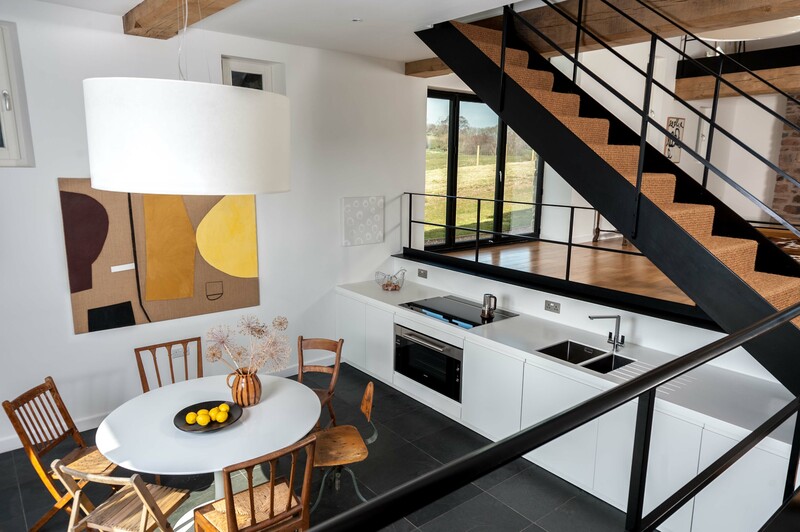 Instead of being flat and linear, the main living area of the barn is on split-levels with a mezzanine snug/reading area up in the rafters looking down a spiral staircase to the dining area and beyond to the kitchen. The Kitchen is then lower than the dining area with a bedroom and en suite above. It is a beautiful maze and one that is great to explore, which is one of the things I enjoyed when I arrived. In total there are 2 double bedrooms, 2 more double bedrooms with en suit bathrooms and two family bathrooms so plenty of choice. 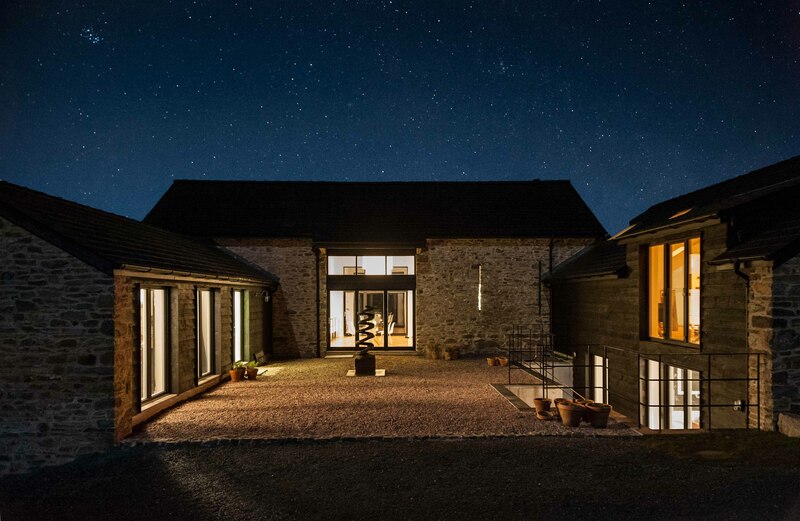 Usually dark places for storing hay, or housing animals, barns are not known for their copious amounts of natural light whilst in Pontfaen, contemporary artist Mark Harrell’s work adorns the walls as light pours in from large floor to ceiling windows and glass doors through out the barn. Watching the weather change became our new favourite past time and I think I could have spent hours staring out at the mountains beyond. Relaxing, mood enhancing and peaceful, this was a great place to spend 3 days with lovely people. I only wish I had been on holiday. Have a look at the property and browse the rest of the shots, we would love to know what you think.